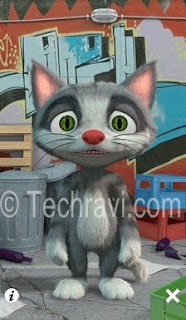 Talking Cat is 3D animated cat that talks and repeat what you say. 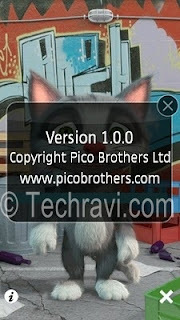 Unlike Talking Hamster and puppy talk developed by picobrothers, this app from picobrothers is far more excellent and works on all s60v5 and symbian^3 devices. 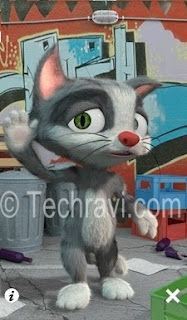 This app is similar to talking tom cat as seen in iPhone but this one actually talks as you speak. From all the previous versions, this is highly improved version and best one for Nokia mobile. It is Qt based app so it is faster and more responsive as compared to previous versions. First, install QT 4.7.3 or above and QT Mobility 1.01(3) or above for proper functioning of this app. If you installed qt before , then no need to install it again. Symbian^3 : Nokia N8 , Nokia E7 , Nokia C7 , Nokia X7, Nokia C6-01, Nokia 700, Nokia 600, Nokia 500, Nokia Oro and other Symbian^3 devices.